The WP App Store: a Step in the Right Direction for WordPress Users? 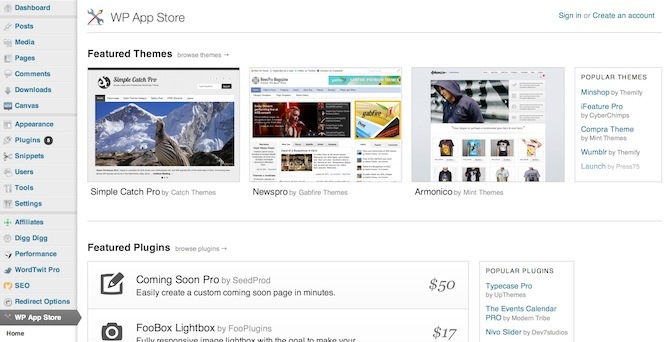 Back in May 2012 the WP App Store — a premium theme and plugin marketplace for WordPress — was released to the public. You would be forgiven for likening it to the Apple App Store as it is clearly based on that model; right down to the 70%/30% split on sales between developers and the App Store powers that be. The store launched with no small amount of fanfare, accompanied by the support of a plethora of well-known premium developers. Many months later the dust has well and truly settled and the only real relevant question remains — is the WP App Store useful for WordPress users? What is the WP App Store? Pretty nifty, right? As a huge fan of the WordPress.org plugins and themes repositories I was immediately drawn to it — the apparent ease of access to a huge number of premium themes and plugins seems like a no-brainer in terms of usability. Furthermore, although there are many superb free themes and plugins available to WordPress users, the top premium offerings are usually peerless, so it is great to see that there is now a way of accessing them directly from your WordPress dashboard. Is it a Step in the Right Direction for WordPress Users? It is not my intent in this post to write some kind of full-blown review — that was done by more than one site at the time of the store’s launch. The pertinent question is whether or not it benefits WordPress users — whether it represents a step in the right direction for everyday use. Clearly it’s advantageous for the developers, or they wouldn’t allow their products to be hosted on the store (and give up 30% of their income the process). Furthermore, it’s not like the store is a mandatory featured on your dashboard — it is a plugin that you can install and uninstall like any other. I see no real downside to any WordPress user that wants to use the WP App Store — they pay no more than they would otherwise and they get a nicely consolidated selection of premium themes and plugins to choose from. 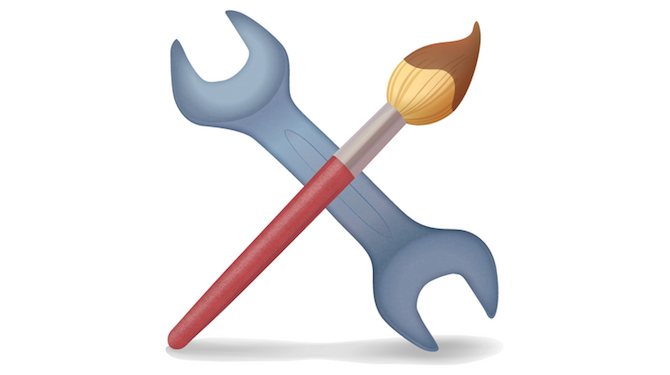 In fact, there is an argument that the WP App Store should be the gold standard — the go-to resource for premium themes and plugins. With the proliferation of poorly-coded themes and plugins available from certain sources on the web (naming no names), it is nice to be able to fire up the WP App Store and know that you are looking at a database of the crème de la crème of the premium market. I don’t know about you but names like WooThemes and SlideDeck fill me with confidence. The Apple App Store thrives on the basis of its monopolistic control — you can either publish on the app store or not be published at all. The key difference with the WP App Store is that it is just another way to purchase themes and plugins — it is not the way, nor will it ever be. And although it has the backing of plenty of premium developers and was subject to no small amount of promotion across the WordPress blogosphere at the time of its release, it is not an Automattic product and therefore doesn’t have the associated clout. I for one think it’s a great option for WordPress users. In fact, if it managed to pull all of the major developers on board then I would have no hesitation in pointing WordPress beginners in its direction without mention of any other sources of premium WordPress products. Until that time, WP App Store is something that I like but will not actually use. What do you think? Are you a WP App Store user or do you have an opinion on it? Let us know in the comments section! I think this is a step in the wrong direction. Do you think WordPress would have gained such an enormous marketshare if the users were paying for this, paying for that? I don’t. The creators of WordPress are firmly behind an open source model. I’ve certainly found the patchy update support behind themes and plugins I’ve paid for to be a problem. I know when I get a plugin or theme through WordPress.org I will be kept up to date if there’s a new release. I know that WordPress.org will be around in the future too. Who knows if the members of the App Store plugin will stick around? One last thought – the 70/30 split. Where the cut for WordPress.org? Aren’t they the Apple in the equation, not the WP App Store developers? I was never aware of this, am I the only person? Lol. The idea of a solid WordPress plugin repository sounds great and maybe help keep plugins and support up to date as WP evolves each revision. I had better give this a go. Thank you Tom, I am really interested in your opinion! Nice, thoughtful post Tom, thanks! I’m curious who are the developers who we haven’t pulled on board yet that would convert you from an admirer to a user/customer? Also, what are your thoughts on the fact that you can’t purchase without installing the WP App Store plugin? 1. That’s a good question and I’m not sure I have the answer. I think it is the sheer fact that I *know* that everyone isn’t on board that is the issue. One example would be StudioPress though. 2. It’s not ideal that you have to install a plugin but it’s not a deal breaker. Can I access the store inside ManageWP? Not directly although you can via the WP dashboard (and therefore indirectly via ManageWP).